Last week on the blog I reviewed four products from the Australian Bodycare range and I made a promise at the end that a second post featuring more products would be on the way. Well, here it is! Today I will be looking at five more products from Australian Bodycare, including the Facial Cream, Hand and Foot Cream, Facial Wash, Spot Stick and Pure Tea Tree Oil that are all part of the Apothecary range and feature together in this fabulous gift set (you can find the purchase link at the end). I won’t go into too much detail about the ins and outs of the brand in this post as to not repeat myself, so see this post as a part 2. If you would like to know more then definitely check out my first post that discusses the Exfoliating Body Scrub, Exfoliating Face Wash, Skin Wash and Deep Cleansing Face Mask. 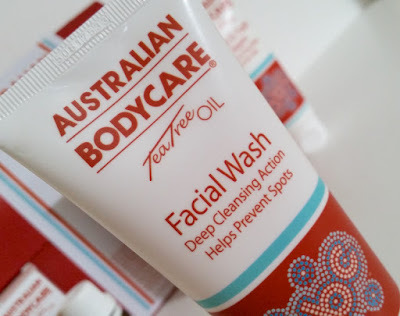 The Australian Bodycare Facial Wash is a gentle cleanser that harnesses the power of Tea Tree Oil and is suitable for all skin types. It helps to remove dirt and prevent spots without causing dryness of the skin. It comes packaged in a white tube that holds 100ml of product. The wash itself is a clear gel with the scent of tea tree. This Facial Wash is really light and it foams up lightly on the skin. You don’t need a lot to cover the face fully, so a little goes a long way. It rinses off easily and leaves the skin looking clean and renewed. I find that this is the perfect partner to the Facial Exfoliator that I previously reviewed. Whilst that product is great to use once or twice a week to exfoliate the skin, this wash is fab for every day as a morning and evening face wash. They are both great at helping to prevent blemishes and clearing up any current ones, so I definitely recommend giving them both a try if you struggle with blemish-prone skin. 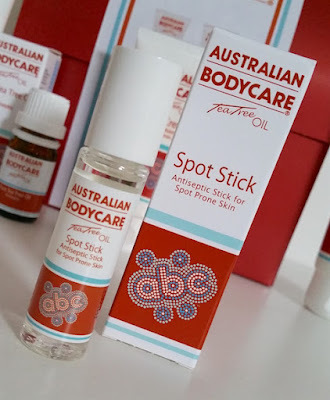 Last year I wrote a review on the Australian Bodycare Blemish Stick. Whilst the name is slightly different and the packaging is different, the ingredients listing is exactly the same. Therefore, I’m not going to go into too much detail with this, but I will direct you to my original review of the Australian Bodycare Tea Tree Oil Blemish Stick. I will add here though that it is a product that I really enjoy using and it is still a staple in my routine, so I do suggest reading the review to find out why I love it. 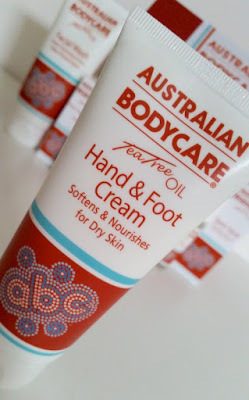 The Australian Bodycare Hand and Foot Cream is a rich, calming cream that aims to provide relief for dry, cracked hands and feet. Because it is antiseptic, this is also a particularly good product to use if you have something like Athlete’s Foot, for example. In addition to Tea Tree Oil, this cream also contains Witch Hazel. Together they help to restore the moisture balance of the skin. My hands can often become quite dry so a good hand cream is a must for me. What I love about this Hand and Foot Cream is that it instantly soothes and softens the skin. Any areas that are particularly dry feel softer straight away and the cooling sensation from the cream also helps to stop any itch or irritation. The cooling sensation is also really nice on the feet, particularly on warmer days. One of my favourite things about this Hand and Foot Cream though is that it absorbs really easily and it isn’t greasy, so you can use it in a hurry without the issue of having slippery hands or feet afterwards. I always find that to be the thing that can stop you from using hand creams when you need to, but with this there is no such issue and therefore no excuse to skip it! 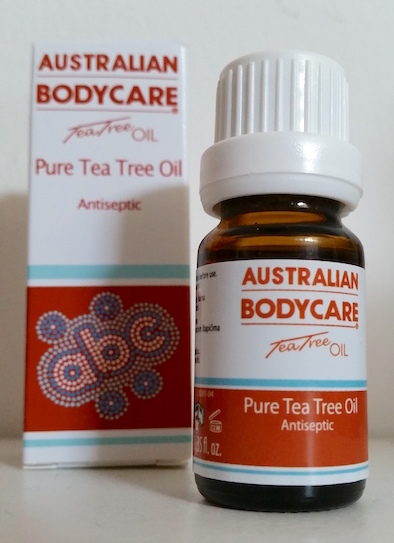 The Australian Bodycare Pure Tea Tree Oil is a bottle of 100% pure, finest Tea Tree Oil. This is the core of all Australian Bodycare products, and having a bottle it’s undiluted form can help you in a myriad of ways. I've spoken more in depth about the benefits of essential oils in a post way back when, also including some beauty recipes using Tea Tree Oil. As a quick round-up though, you can easily use Tea Tree Oil to help with blemishes, cuts and grazes, dandruff, body odour, insect bites, fungal problems and more. There are a whole bunch of uses for this fantastic little oil and it is really convenient to have one in your cupboard. I have found this particular bottle of Tea Tree Oil to be super helpful already, helping with cuts and small blemishes as well as cracked skin (when added to a carrier oil). If you haven’t yet experienced how helpful a bottle of Tea Tree Oil can be, I highly recommend giving it a go. It comes in a range of sizes too, so you can always try the small, 10ml bottle (pictured above) if you won’t be using it too often, or a bigger size if you will be using it more frequently. 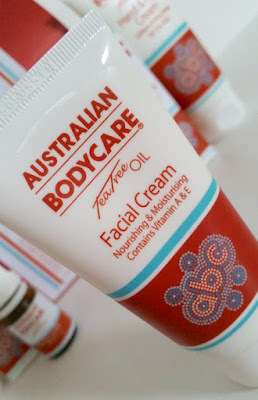 The Australian Bodycare Facial Cream is described as “nourishing and moisturising”. It also includes Aloe Vera and the Vitamins A and E in addition to Tea Tree Oil. It comes packaged in a small, white tube that holds 50ml of product. The cream itself is thick and pale yellow in colour, also with the tea tree scent. It is suitable for all skin types, but particularly for those with skin that tends to be dry. When I first read the part on the tube where it says it is probably better suited to dry skin, I was curious as to how it was going to work with my oily skin. However, I actually get on great with this face cream, so if you also have oily skin then please don’t look away. It's quite thick and I find that not much is needed to cover everywhere (but you may want to use more if you do have dry skin), so it's going to last a while. It really helps to smooth out the skin and helps with any blemishes or marks on the skin. Since I’ve been using this I’ve seen my skin tone gradually evening out more too (this could be due to the Vitamin E), so it’s beneficial in more ways than one. Recently I have also had a couple of dry areas on my skin that I have used this Facial Cream on and it works a treat! It’s another one of those facial moisturisers that actually is suitable for all skin types. This has definitely placed itself on my list of fantastic facial moisturisers to try out, so I highly recommend giving this a try if you haven’t already! Australian Bodycare have a fantastic range of products that really are suitable for everybody. Out of the collection reviewed above, my particular favourites are the Spot Stick and the Facial Cream, but I do honestly love and use all of them on a daily basis. I think that the products all work well together, including those that I discussed in the previous post. The Facial Cream is a great follow up to the Deep Cleansing Face Mask and Facial Exfoliator as well as the Facial Wash above. The Spot Stick is then a great addition if you have any blemishes to heal too. The Hand and Foot Cream is a great follow up to the Exfoliating Body Scrub and the Skin Wash to get summer ready feet and the Pure Tea Tree Oil is just fantastic to use in addition with everything. Australian Bodycare is available in numerous stores, but the Apothecary range (like the products in this review) is primarily found in department stores and independent outlets. If you are interested in the full gift set that is featured in this post, you can purchase it online at Fragrance Direct. If you would prefer to purchase the items individually, you can find them also at Fragrance Direct or KLM Beauty. 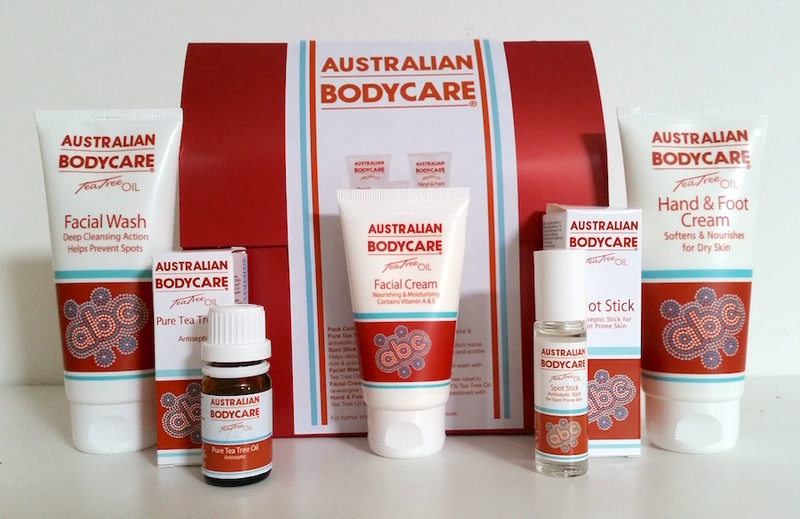 What are your thoughts on the Australian Bodycare range? Which is your favourite product?